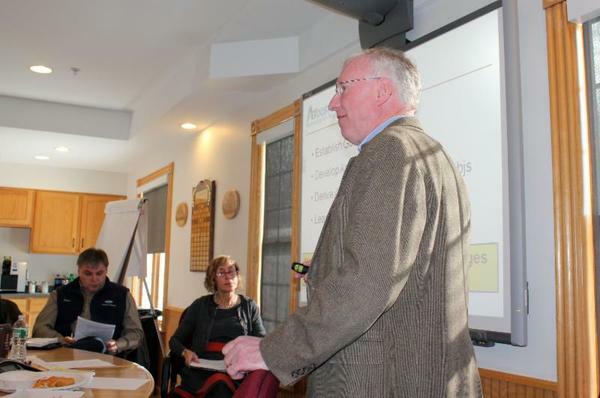 CARIBOU - The future of the Nordic Heritage Center in Presque Isle and the possibility of a National Park near Baxter State Park dominated the latest Aroostook Partnership for Progress board of directors meeting held Friday, Jan. 9, in Caribou. Representatives of the Nordic Heritage Sport Club addressed the board about two options for funding the Nordic ski facility in the future. The first option would be to continue to attract World Cup Biathlon events, like one already on the books for 2016, and the second option would be to downsize the facility to be more of a community venue, but still attract smaller regional races. Paul Towle said reductions in funding from the Libra Foundation are the driving force behind the close examination of operations at the Nordic Heritage Center (NHC). He said to continue to be a world-class venue would require about $50,000 annually to be raised locally and a community-based model would be $30,000 to $40,000. This first figure does not include significant additional sponsorship dollars for major events. Jane Towle added the World Cup events do bring funds into the clubs coffers, but require a massive volunteer effort and in the case of the 2016 event a new $100,000 media building. "Sometimes you have to spend money to make money," said Towle. Officials said this decision on future operations is too big for the steering committee to make alone, so input is being collected from the community. "Many of the investors in the Partnership donate to the NHC, sponsor events, or allow their employees to volunteer in support of major events," said APP President Bob Dorsey. "We heard from the board that there is value in having the NHC, but the CEOs really needed to know exactly how much financial support was being asked of their companies." An advocate for the Katahdin Woods and Water National Park plan also addressed the board Friday. Lucas St. Clair spoke of the economic benefits to the Millinocket region and beyond. "I envision Bangor and Houlton as being gateways to the visitors to the park," said St. Clair. "Houlton is a prime location to receive the tourists from Atlantic Canada and provide them with services before they reach the north end of the park, which is just south of Patten. St. Clair also used his presentation to distance the proposal from one forwarded years earlier by the group RESTORE. He made it very clear they are two different plans, and the park and land to be donated from a foundation formed by Roxanne Quimby would be only 75,000 acres on the one side of the East Branch of the Penobscot River and a 75,000 acre National Recreation Area on the other side. St. Clair, who is Quimby's son, said in addition to the land, the foundation would set up a $40-million dollar endowment to fund maintenance and operations at the park. According to a report from Headwaters Economics, a new National Park and Recreation Area in northern Maine would create 450 to 1000 jobs and attract younger workers and entrepreneurs to the Katahdin region. The APP board of directors is next scheduled to meet in March (TBD) at TAMC in Presque Isle for a strategic planning and visioning session. Northern Forest Products Industry Cluster members discuss challenges and opportunities in the sector at the group's first meeting at NMDC in Caribou. CARIBOU - Representatives from across the forest products industry in northern Maine gathered in Caribou at the Northern Maine Development Commission (NMDC) for a first ever Northern Forest Products Industry Cluster meeting Thursday, Jan. 15. The cluster, organized by the Aroostook Partnership for Progress (APP) and supported by NMDC through grants from the Maine Technology Institute and USDA Rural Development, will explore opportunities and challenges in the industry in order to develop an action plan to maximize the growth potential for this key sector in Aroostook's economy. "The forest products industry represents more than 6,750 jobs in Aroostook County and is the major economic engine of the region," said APP President Bob Dorsey. "By getting together large landowners, loggers, mill owners and operators, forestry consultants, educators, representatives of elected officials, financial institutions and others, we can accomplish more collectively than companies can individually." This initial session looked at the industry in broad strokes. Participants cited electrical costs, rail car shortages, rail expenses, operator age limitations, and the lack of teacher awareness of forestry jobs as major challenges to growth. Other challenges included the higher cost of diesel fuel in Aroostook County and the off road diesel sales tax. Dana Doran, Executive Director of the Maine Loggers Association, said the tax is unfair to the logging industry citing farmers and commercial fishermen in Maine are exempt. In fact, attendees mentioned several regulatory issues, both on the state and federal level, they would like to see addressed. Bryan Kirkey, President of Ecoshel in Ashland, said once some of the barriers are addressed, he envisions new opportunities for Aroostook County and northern Maine. "I see the pre-fab manufactured housing market being an exceptional opportunity for the region," he said. APP President Bob Dorsey addressed the Northern Forest Products Industry Cluster members. "This may be a market where more research and development is needed," said Dorsey. He also noted that officials from the University of Maine School of Forestry were also in attendance and some excellent research and development is being conducted at the state's flagship university. 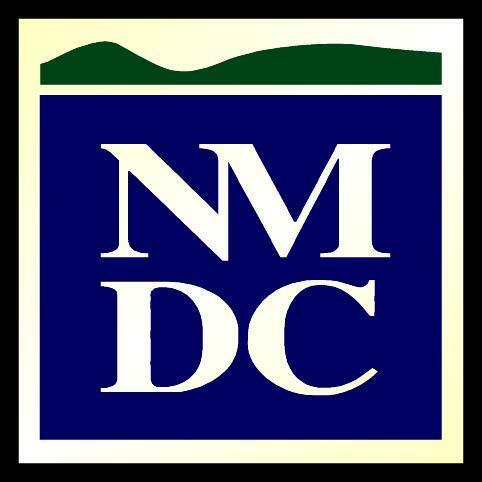 "The degree and level of engagement by those companies serving on the Northern Forest Products Industry Cluster affirmed many of our original observations and it provided a far better understanding of the opportunities and challenges facing the entire forest sector," said Alain Ouellette, Planning and Development Division Director at NMDC. Dorsey said the purpose of this effort is straightforward and on an accelerated timeline, to establish goals and objectives, develop an action plan, derive a strategy to achieve goals and objectives and implement the action plan. It was also noted during the meeting that several new bills have been introduced already by this industry for consideration during the current legislative session and these may drive some of the short-term action priorities for this group as the window to impact those actions is now. The second meeting, to be held in less than a month, seeks to refine opportunities and challenges and determine priorities on which to act. The third meeting focuses on the initial strategy and the fourth will provide feedback on the action plan and identify committees and funding sources to engage in the plan. "Work continues between the cluster meetings, a core group representing different facets of the industry will continue to converse and meet to review and prioritize information for the upcoming meetings," added Dorsey.